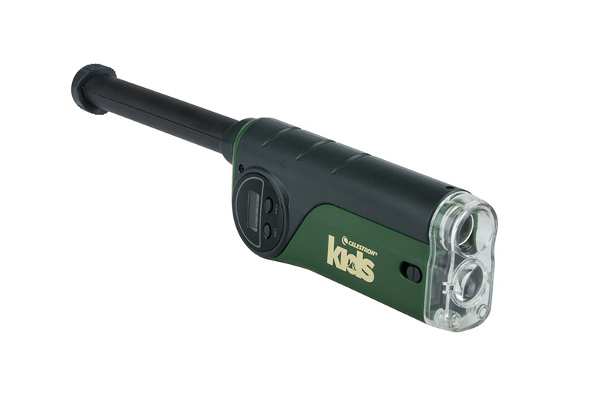 Shipping Dimensions: 8" x 6" x 1"
Celestron Kids is bringing you real optics, and real fun! Enhance your view with this 7-in-1 Spy Gadget and create new adventures on the go. The Celestron Kids 7-in-1 Spy Gadget makes for hours of exploring and spying fun. Explore the hidden micro world with the 8x microscope and 9x magnifier, or obtain super seeing powers with the 30x telescope. 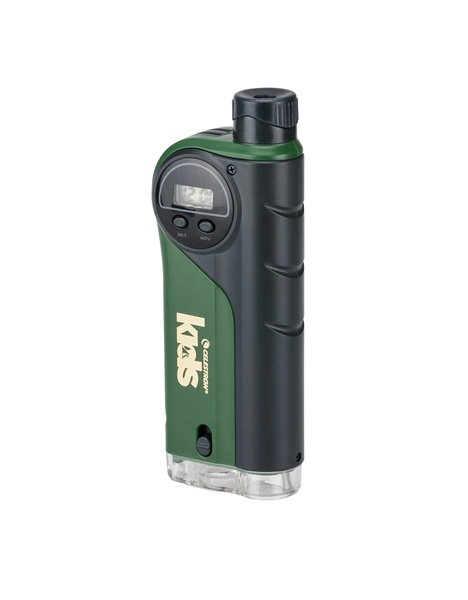 The digital clock, flashlight and compass will make sure you are on time and always know where you are going, while the emergency whistle can be used to alert your friends or ward off mad dogs or other mysterious creatures. Explore the world as a Celestron Kid and watch the magic unfold. Cool toy. My grandson loves it! If You Liked Celestron Kids 7-IN-1 Spy Gadget, See More Related Products Below!